Despite the damp and rainy weather, my weekend was brightened when a little package arrived in the post. A few weeks ago I mentioned that I had sent Nell, who lives in England, a copy of the Australian magazine, Frankie. I love reading Nell's blog - On The First Day of Marriage - and we've become quite good blog friends over the past few months. She had hinted that she made a little gift for me and was shipping it across the ocean so I was pretty excited to see what goodies it held. I first unwrapped the most delicious fudge but devoured it before I could even snap a photo. Then inside her pretty little package was the most adorable pint size purse - knitted in stripes with a little nautical gold button. It is the perfect size to hold all my spare coins and I have a feeling she'll be knitting non-stop when requests come in for more - they'd make perfect Christmas gifts! So I'm sending a huge thank you to the very talented, very crafty Nell - now my only question is when are you coming to Australia so you can teach me how to knit? oh! Tres chic! That is a super cute purse. Lucky you! ps. Next stop, Sydney...not sure if i'll get knitting needles through customs though. They're a fierce weapon after all. Nell, is very talented. That purse is so cute. I adore the stripes and nautica button. 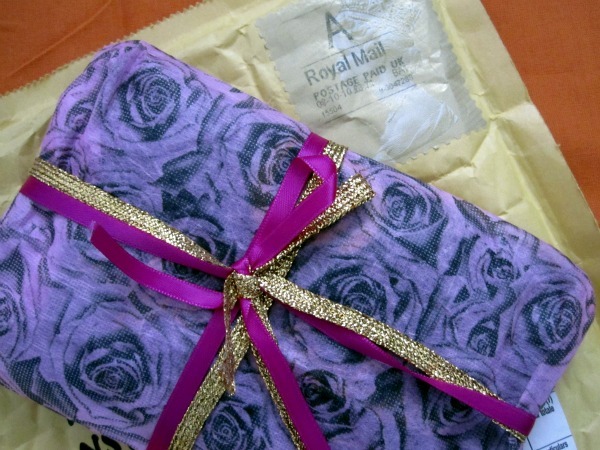 Lucky you for having such a crafty blog buddy! Lucky you, that little coin purse is gorgeous. I love the nautical button- go Nell. Presents in the mail are the best right? So sweet and useful too! awww how awesome are you Nell? very cool! perfect for the ridiculous number of large coins australia has! What a darling little prezzy. I bet it makes you look forward to digging for coins. 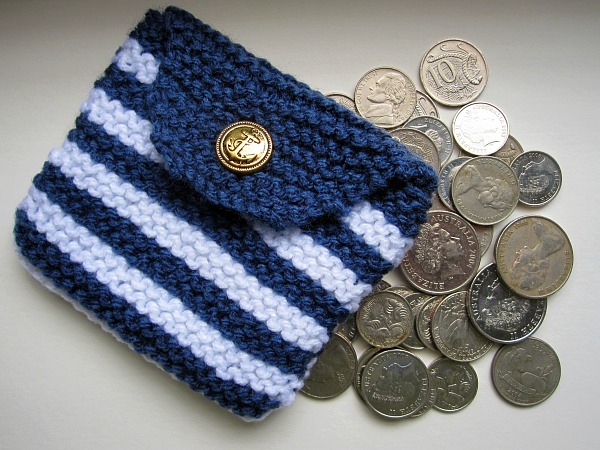 I love the knitted purse - and the nautical button is just fab. She's clever isn't she! What a sweet little gift! And a much cuter way to tote change instead of strewn across the bottom of my purse. Teehee.